A pair of runaways on an ancient quest are pursued by hordes of demonic creatures across an incredible fantasy landscape, in epic adventure Fading Of The Cries. Stuffed with amazing special effects, this thrilling, fast-paced movie is available on DVD from 30 May. To celebrate the release we’ve teamed up with Lionsgate Home Entertainment: one lucky reader will scoop a 40-inch HD TV, Blu-ray player and a copy of Fading Of The Cries on DVD! Ten runners up will also get a copy of the film. 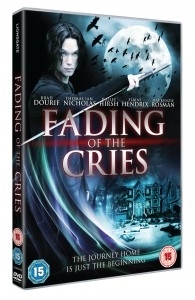 Fading Of The Cries is released by Lionsgate Home Entertainment UK on DVD on 30 May.